Pat's last name will tell you that he is the Italian in this duo. Pat is the planner, the cook and the keeper of details. Pat is married and has three children. A psychic once told Travis that he lived out 86 previous lives in Tuscany. That's a good enough connection for him! Travis is the driver (Pat can't drive a stick-shift), the photographer and the storyteller. ​Travis is married with four children. Travis Justice and Pat Campagna started traveling to Tuscany in 2009 when they took their families for a two week holiday. In their minds, they never left! Ask their wives and they will tell you Tuscany and Italy are now a part of everyday conversation. They both have returned several times which led to more topics for conversations. One night, while enjoying a bottle of Chianti Classico, they decided to share their stories with the world. Just like that, Total Tuscany was born. 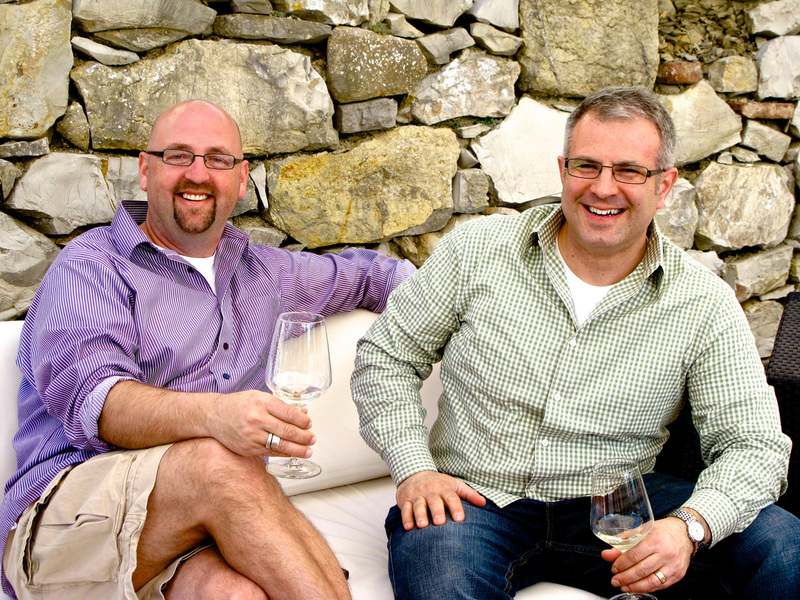 Travis and Pat started by producing the Total Tuscany Podcast in 2014. They started making friends by interviewing business owners, bloggers, tour companies and guides in Tuscany. Absorbing this knowledge over the last three years has inspired them to start hosting custom trips for up to eight people to Tuscany. They are asked all of the time, what is Tuscany really like? After answering that question thousands of times, they decided it’s finally time to share their experience in a more meaningful way. Many hours of planning (including more trips to tuscany) have allowed these two to develop a custom itinerary for small groups that balances the right amount of structure with freedom. They are calling it the Total Tuscany Experience! If a small group experience isn't something you are interested in but traveling to Tuscany is, Pat and Travis provide custom itinerary planning and professional consulting. You can read travel guides but wouldn't you rather talk to somebody who's experienced it first hand, several times? ﻿Now you know us, so why don't you come with us?